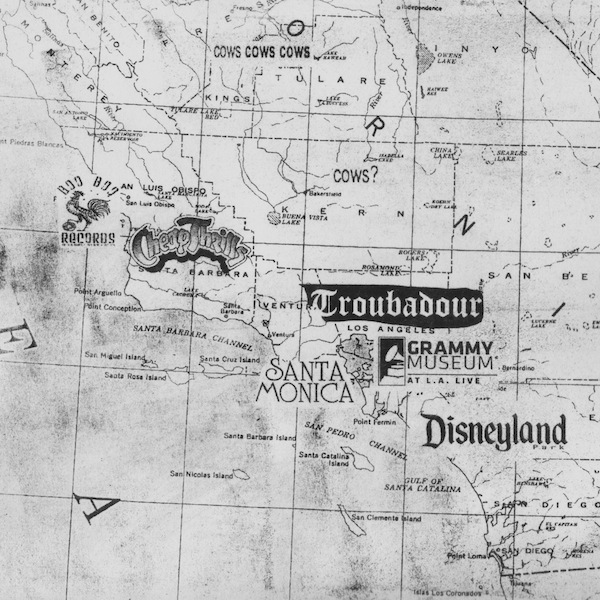 Disneyland No More: A Teenager’s Rock Pilgrimage To L.A. In July, 2013, BAMM.tv’s intern Madeleine Buzbee took a road trip down to Los Angeles with her parents. The Mission: come face-to-face with the mythology of the L.A. music scene. “I am going to Los Angeles and am NOT going to Disneyland.” Big changes were happening, because for the first time I was visiting LA on a music expedition without much of schedule. I wanted to have the full road trip experience, with lots of mixtapes and abandoned town stops along the way. I lusted to have an experience open my eyes to new music. I wanted a new music identity, like someone would want a new wardrobe, and I was going to LA to find it. For as long as I can remember, music has always been the thing I could relate to the most, and has provided me with the words and concepts to define who I- a 15 year old San Francisco kid- identify as. It’s rare that a few weeks pass without a night at a venue along side my friends. I envisioned that upon arriving in LA, I would witness paparazzi running down “the-next-big-things” driveway. I expected to see lots of live music, and get a feel for a music culture separate from the open arms culture the Bay Area encompasses. I wanted to see punk rock in a tiny venue in Downtown LA. I wanted to experience the crowd surge around me to the music coming from the speakers above in the oh-so-hip Southern California atmosphere, and I wanted to walk into a record shop and receive recommendations from a local. This was wishful thinking. I had not considered the size of Los Angeles, the mythology of “fame”, and the fact that this self-discovering music expedition was to be executed by a team. Aside from me, the team was comprised of my 56 year-old parents, who didn’t enjoy standing for too long, things that are too loud, nor driving for too far. As I would learn on this trip, all of those scenarios are unavoidable in LA. Here’s the thing about traveling to somewhere beautiful in California: more often than not, you have to travel through strip mall towns and down highways sandwiched between warehouses to get to your destination. Our first stop on the road trip was the hilly seaside town of San Luis Obispo. Inhabited primarily by Cal Poly students, I expected a lot of pizza by the slice and a couple of record stores. The first record shop I visited was Booboo Records just off the main road. The walls were covered with posters representing every era and every genre imaginable. Amidst the chaos of the crowded record store hung an enormous chandelier. It added to the shop’s charm. I talked with the man at the back counter about the jist of the store. Booboo has been in SLO since 1974, and sells newer vinyl and lots of merchandise pertaining to bands and SLO. He explained that working in the shop had just started as a way to pay off student loans, but eventually led him to become an enthusiast about newer music and added that he had started making his own music in his dorm. It was always refreshing and inspiring to meet someone acting on his passions and creating art. Booboo seemed to foster a warm and fuzzy feeling amongst the shelves, similar to the record stores I’m accustomed to. The store seemed to provide a ton of new vinyl that I hadn’t seen back in San Francisco. I was having deja-vu; this was exactly what I had dreamt of. This tiny room held so many albums just ready to have a needle dropped on to their surface, and was sprinkled with people who were thirsty for those sounds. I received a few recommendations from that man, ranging from Boards of Canada to Surfer Blood. I browsed for an hour or so, admiring the posters and large David Bowie selection. Despite this being the first day of the trip on a relatively strict budget consisting of my birthday money, I could not leave the store empty handed. I picked up Little Joy and The Velvet Underground’s always lovely Loaded. A few blocks over from Booboo is a maze of used records called Cheap Thrills. Cheap Thrills opened up a few years before Booboo and specializes in CD’s, some used records, and, as I learned the second I saw a herd of 11 year-old boys rushing across the store, extensive amounts of Futurama memorabilia. I walked up the attic stairs to their vinyl section, admiring the murky space with endless shelves of rock records. The atmosphere was very similar to what I was used to in San Francisco, and the urge to search through crates for the miniscule chance of finding something to add to my collection drew me in. After an hour of sorting through bins and hopeless, sweaty moments where I was ready to stop searching, a few vinyls clicked. I headed out with a copy of a the Rolling Stones’ Through The Past, Darkly. It had no corners and the track sheet had been previously annotated with gel pen reading “I WANT YOU, MICK!”. I was holding a piece of someone’s past, possibly scribbled during a warm Southern California trip, like I was embarking on. I crossed the street for a cup of coffee and found a window seat. I looked out at the unfamiliar, yet inviting, streets of San Luis Obispo. The Woman by Rhye played throughout the cafe. At sunset, we set out to Morro Bay for dinner and eavesdropped on the surrounding tables for the final 3 hours in SLO. I overheard stories of love, debt, bad toddlers, and a lost cat. This all seemed like the worthy subject matter for a country song. Stopping in Santa Barbara, I received a recommendation from the man at Pizza My Heart. He played all of Telekinesis’ Power Lines as my mom and I stared out at the countless surf shops and hungover UCSB students. For a moment, I felt like I was living that picturesque Southern California beach town dream. It was ephemeral. Moments later, we hit the road again, with our final destination being Santa Monica. I stared out at the picturesque waves that refused to stop kissing the shore, in awe at the land that had inspired so many artists. The albums accompanying the drive seemed so fitting, knowing that some of the inspiration for these albums came from the seaside on which I was feasting my eyes. Best Coast and DIIV roared through the speakers as we descended towards the long awaited music-Mecca below. The next morning, I awoke on the edge of the futon bed in our art-deco hotel room to the sound of German tourists splashing around in the Grinch-green pool below. Several episodes of SpongeBob and one bagel later, I walked onto real Santa Monica soil. Clear skies, palm trees, and 70 degree water. I hit the shore. Out off the shore, emerged the pier. I discovered that all games and merchants offered the same thing: a chance to have your very own One Direction pillow and/or a keychain with your name written on a piece of rice. Back on The Promenade, countless street artists singing over backing tracks serenaded the shoppers. The performers were often very talented but, like it is in any city, maybe 1 in 500 people would drop a few spare coins in their hats. The store fronts were inviting, pumping Disclosures’ newest single through the speakers to lure me in. Then it was time to put the endless maze of chain stores to the test. I asked Siri, in an effort to feel futuristic, “Find the nearest Record Store”. To my disappointment, Siri could only suggest a Barnes and Noble and an Urban Outfitters, all the way on the other side of the complex. I trekked out to Urban Outfitters, in hopes that they might have some local vinyl selections, despite being a chain. No such luck. Only Justin Timberlake’s 20/20 and unloved copies of Sigur Ros lined the nearly barren vinyl section. The rack was placed among headbands and sunglasses. Here, vinyl was an accessory. I wondered if the music would ever be appreciated by their future owners, or just another object to instagram. 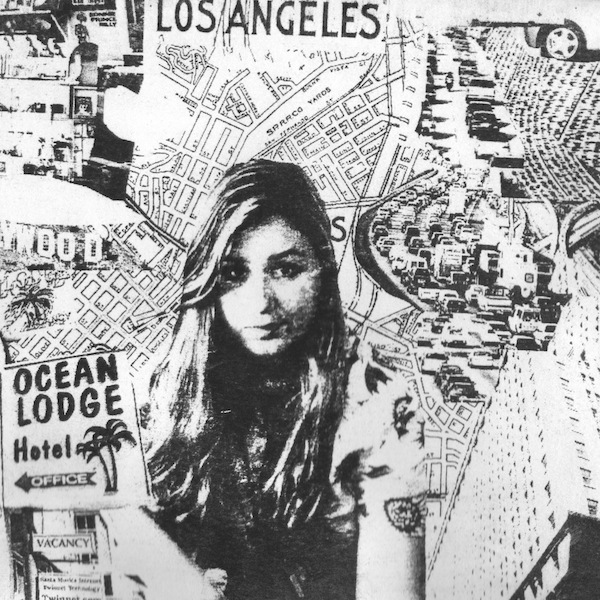 On the evening of our third night in the area, my parents and I drove nearly 4 hours to Hollywood to see the only all-ages show we could make: a local electronic alternative band called Kitten. The traffic was accompanied by Los Angeles by Flying Lotus. The drive lacked anything resembling a landmark, so this was the perfect noise to keep the brain busy while stalled at endless red lights. The most exciting thing I managed to see on the road was the West Hollywood Post Office. 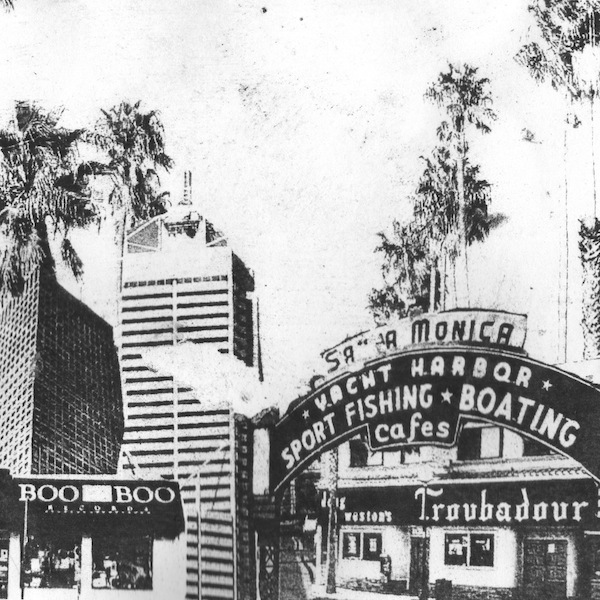 A line looped around the block leading towards The Troubadour–the legendary venue found inside a German-inspired woodland church right off of Pico Blvd. The scene outside didn’t differ much from the venues in San Francisco, as the air was buzzing with excitement and anticipation. The man at the door stamped my hand with the under-18 stamp, and rolled his eyes. Everything was dulled down in the venue and the excitement seemed to disappear into thin air. Quiet chatter and blank stares echoed in the lofty church space. My parents went up to the balcony to rest their old knees- so as usual, we separated as I joined the crowd. The only time those around me spoke, they would make some sort of complaint. By the time the music started, all the crowd became a sea of white screens and unappreciative, sweaty middle-aged men, and annoying teenagers. When Kitten began her rendition of Prince’s Purple Rain, the crowd swayed. It was such a relief. The people on the floor below still resembled human beings. No fan pressed against the stage seemed to sing along. Little collaboration occurred between the audience and the performers. The band had great energy, but I realized that if the energy doesn’t carry into the crowd, the whole picture can’t come alive. The following day, the entire family headed to The Grammy Museum. LA was a tangled mess of highways, dipping over and under each other, filled with cars driven by very busy people. The streets sandwiched between the iconic downtown skyscrapers were filled with the same very busy people whom I had encountered the night before at The Troubadour, but this time in suits. Upon arriving at the museum, it seemed like just another set of encased artifacts and security guards on the prowl for tourists trying to snap a picture next to the Daft Punk helmets. In a matter of sheer moments, I would have my big “ah-ha” moment. I stood next to Ringo’s drum set– the very one he recorded Abbey Road on. The surroundings were adorned with Beatles paraphernalia and replicas of Ringo’s costumes, along with photos of The Beatles’ first time in LA. Standing with my face pressed against the glass panes protecting the drums, I found what I had been searching for–a glimpse into the world of fame and excellence from the stories I had been told, and the trip I had envisioned. I was inches away from the instrument where history had been banged into. Yet, I did not breathe the same air as it. The days when those snares sounded had passed many decades ago. I was only 3 inches of bulletproof glass away from the connection to the music that I had been searching for. We left the flats of LA and back into the hills, hoping to reach San Francisco before nightfall. Passing through countless valleys and farming towns, I listened to The Black Keys, Mac Demarco, and Christopher Owens. I was going to return with a memorable moments, but not nearly to the extent I envisioned. The experience with Ringo’s drums served as a distilled experience. On one hand I was experiencing a piece of what made pop possible, but I was still detached.. I was aware of the talent and wonders that burrowed in LA, but I couldn’t access them. I imagined LA to be so different than my previous travels–it harbored a reputation across such a large stretch of busy and annoyed people, that it is hard to expect everything in sight to reflect that ideal. Crazy weather creates crazy people. That can be a positive thing– inspiring Flying Lotus’ and DIIV’s vibes that are hard to internalize, but so satisfying once finally decoded. It can also result in angry, drunk people in tiny venues feeling self-entitled. Perhaps the glorious fame and talent that had been rumored to live in Southern California was not a myth after all. Maybe that talent just had gone on vacation in the summer of 2013. Maybe I had experienced a copy of a copy, or a fabrication of the genuine aspects of talent. It all felt filtered. My parents experienced the trip similar to the way I had, but seemed to lose hope in finding that genuine experience we were chasing. Even the bones of that ideal were impressive, and if you looked far and wide, you might catch a glimpse into the wonderful, creative madness of the City of Angels. Does LA’s music industry really value fame over excellence, or are the real gems hidden away in the cassette rack in San Luis Obispo, or in the presence of Ringo’s Sergeant Pepper costume? LA had proved to be a weird, hauntingly mysterious sprawl, but more than anything, begs for exploration. Rolling past hundreds of gas stations and tomato fields, Devendra Banhart played- the perfect music for reflection. I was more than eager to return to my friend, Karl The Fog, with armfuls of vinyl and the mystery of the elusive Los Angeles on my mind. Madeleine Buzbee has been an intern at BAMM.tv since late 2012. She was born and raised in San Francisco, and is currently a high school student Jewish Community High School in the Western Addition of San Francisco. She spends her summers in Montreal and uses mixtapes as a way to score her travels. She loves writing and curating various mediums. She hopes to go into journalism some day, and has her mind set on living in New York City. On any given day, you can find her mistaking herself for a Ronnette or eating over-priced toast while listening to Mac Demarco.